The changes being implemented are in response to concerns raised during the 2016 camping season and will take effect Jan. 2, 2017. Eliminating the March 15 ‘opening day’ for reservations and opening a 4-month rolling reservation window. These changes will allow you to start planning your vacations 4 months in advance. Reservations for Charlie Lake Provincial Park, Beatton Provincial Park and Moberly Lake Provincial Park will start on January 18th, 2017. New measures to prevent the reselling and/or transferring of reservations. 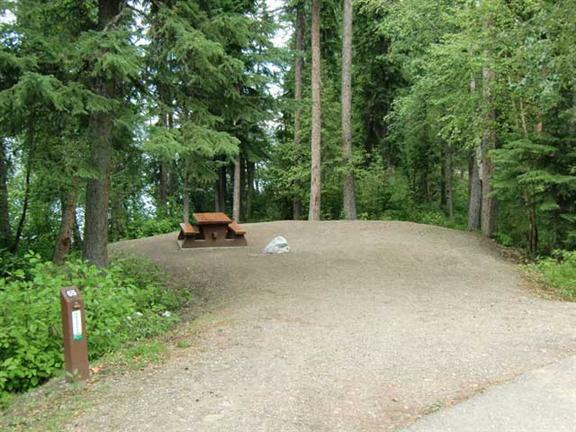 This past year, BC Parks was made aware of a number of attempts to resell Discover Camping reservations. Starting January 2, 2017, when a customer makes a reservation, they will be required to provide one or two permit holder names to be registered. These names cannot be changed at a later date. Adding the option for a second name will allow small family groups to have flexibility in who arrives to their campsite first, but it will remove the ability for someone to resell a reservation, then later change the permit holder’s name to a third party name. At least one of the named permit holders must be present during the stay, and identification may be required to keep the reservation valid. Restrictions around altering arrival dates, if a customer books on a release date (the maximum time in advance of a trip) to prevent the practice of “overbooking”. The practice of overbooking was highlighted this past camping season. This practice is when a customer makes a reservation to include more nights than are needed to secure a desired date and then later cancels the dates that they never intended to use. An example would be booking a 2-week stay at a maximum window of opportunity to capture a long weekend at the tail-end of the reservation, and then canceling the preceding 11 days so you were able to secure a long weekend stay before it was actually available to book on its own. What does this mean for you? If you are booking at the maximum 4-month rolling reservation window, or within the first 7 days after, then you will have a “restricted booking”. An example of a restricted booking would be booking for a May 15 arrival, between January 15-22. This shows the maximum 4-month window or within the first 7 days of the window. Customers who book within this 7-day period and want to change their arrival date will have to cancel the reservation and re-book. Canceled inventory will be released the next day at 7 am and will be equally available to all customers making a reservation at this time. This policy only applies to customers who try to change their arrival date (you can still change a departure date) and it will stop the practice of booking a longer stay than is really wanted in order to secure popular dates ahead of everyone else. Visit Discover Camping – https://secure.camis.com/Discovercamping/ to reserve your spot! The full statement from BC Parks can be viewed (here).